With sweeping changes to the map, reworks to nearly half the 116 heroes, new items, and more, 7.20 is the biggest patch to hit Dota 2 since 7.00 in December 2016, Magnus certainly doesn’t stand out at first glance among the more than 50 heroes reworked in the patch. In fact, the 5 second decrease on Skewer’s cooldown and slight displacement/slow added to Shockwave might rank among the least exciting changes. Nonetheless, the synergies between his skillset and role and other changes have combined to make Magnus currently the most overpowered hero in the game at high skill levels. The hero’s current dominance is evident both in high level pubs as well as professional matches. Per Dotabuff’s meta page, Magnus’s 55.18% in pub matches is 4th highest among all heroes in the Divine and Immortal skill brakets this month. His 19.63% pick rate in those brackets also ranks in the top 10. Unlike Phantom Assassin and Dazzle, however, whose pick and win rates are relatively high across the board, Magnus’s strengths are thusfar evident only at the highest levels of play – the hero’s pick rate drops below 12% at Ancient (4-5k MMR) and is below 10% in all other brackets. Though still a work in progress, it’s telling that Magnus is the only hero whose post-patch win rate shows up as stable (at over 55%) in Stratz.com’s new Meta Analysis tool applied to Divine and Immortal-level pubs. Magnus shows up similarly strong in professional matches. In 296 drafts from the Chongqing Major and Bucharest Minor qualifiers, Magnus was banned 228 times in the first phase, behind only Io/Wisp (234). His 67.7% win rate in 65 games is the highest of 61 heroes with 15+ appearances. By comparison, the hero was picked only 6 times total in 192 matches at The International 2018 in Vancouver, with his only win coming in game 2 of the Grand Finals. The origins of Magnus’s meteoric rise lie in understanding how the metagame has changed since TI8, in particular the recent dramatic shifts after 7.20. The pace of play in 7.20 is substantially faster. In professional play, the median match length has gone from roughly 36:30 in 7.19 to approximately 33:00 in 7.20. The 85th percentile of match durations (historically a proxy I’ve used for “late game”) has decreased 5 minutes in 7.20 from near the 49 minute mark in 7.19. In this meta, it is Magnus’s Empower (which was initially unchanged in 7.20, and received a small nerf to its early levels in 7.20d) that becomes the hero’s most significant skill. Buffs to cost-efficient stat items, particularly Wraith Band, are at the heart of this phenomenon. Though the removal of Ring of Aquila was in theory a nerf to core heroes’ early game, this has been more than offset by the change to Wraith Band, which has already been purchased 2349 times in 357 pro Dota 2 matches in 7.20 (a ridiculous 6.6 per game rate, more than twice Aquila’s 3579 builds in 1181 matches, or 3.03 per game, in 7.19). As a result, denies granting gold instead of experience, and a small buff to neutral creep gold bounties, core heroes farm significantly faster. In 7.20 professional matches, eleven different heroes average 6500 or more Net Worth at the 15:00 mark, nine of them agility cores. Only Alchemist, Broodmother, and Meepo were above this mark in 7.19. Empower’s potential to accelerate farm becomes incredibly powerful in this environment. In professional matches, where 12 of the 14 most common skill builds feature level 1 empower, Magnus has a 31-6 combined win/loss record with Phantom Assassin, Anti-Mage, Monke King, and Terrorblade. Without Magus, the same four heroes combine for a 52.7% win rate. 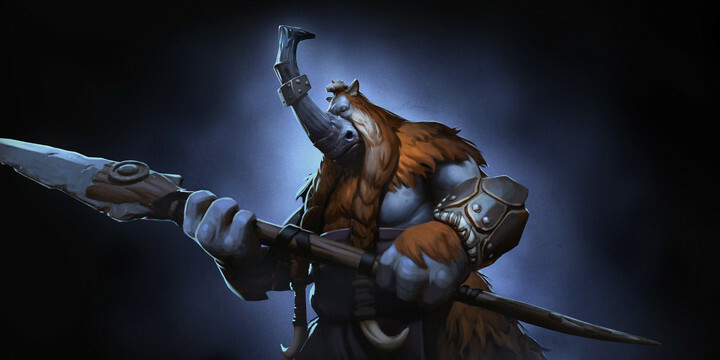 In pub matches, Magnus’s average 32:10 match duration in the Divine and Immortal brackets ranks in the top 10 fastest of all 116 heroes, just behind Huskar, Chen, Lone Druid, and Io. Level 1 empower builds are now second-most common in pubs, and feature significantly higher win rates. Magnus also benefits from a few important secondary changes in the new patch. With 36 abilities no longer piercing spell immunity, BKB-piercing disables such as Reverse Polarity are that much more valuable. Magnus also benefits from the small buff to Arcane boots, and is responsible for 10 of the 25 fastest Arcanes pickups in 7.20 (pre-5:04, easily more than any other hero). He has also benefitted from increased role flexibility, with a 10-1 record as a support in professional matches and a 58.8% win rate in the support role in the highest two pub skill brackets (compare to 54.6% as core). The changes to move speed mechanics in 7.20 also potentially affect Magnus’s value, and are something to keep a close eye on in many metagame changes going forward. Magnus’s 305 move speed is in the top 20 among melee heroes, behind only Clockwerk, Earthshaker (both 310), and Legion Commander (315) among traditional offlane/utility cores, while his respectable 2.5 agility gain per level is behind only Pangolier. Now that most item-based bonuses to move speed are percentage-based, Magnus is more likely to have a move speed advantage, particularly in the mid game. His flat +200 health talent at level 10, coupled with +12 strength at level 15, also give him respectable survivability with only Arcanes and Blink Dagger. While the rise of agility cores and debates about Phantom Assassin, Dazzle, and others have so far dominated balancing discussions at 7.20, Magnus’s rise in high level pubs and pro matches has been as significant as any individual hero in any patch over the last few years. So far, the hero’s dominance has been mostly confined to high-level play, and there are already signs (notably the 7.20d mini-nerf to empower) that the Dota 2 team has its eye on the hero. Still, without more significant tweaks, expect the hero’s popularity to spread, and its dominance to continue. Editor's Note: This article was written before the 7.20e nerfs to Magnus. 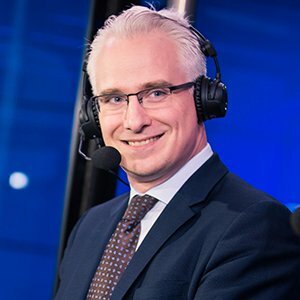 Looking for more from Nahaz? Check out his latest Stats Don't Lie!